A Small Cluster Of Duplexes in top-end neighborhood and relatively maintenance-free. Located within steps of the Shock Hill gondola station, the seven buildings that make up Shock Hill townhomes for sale are duplexes two homes per structure that share a clubhouse and common area. Located in the exclusive neighborhood of Shock Hill, they offer the privacy of homeownership, and the benefits of shared condo maintenance. Just fourteen units in total, this high-quality condo subdivision was designed to compliment the single-family custom homes in the neighborhood, yet provide an alternative: a clustered development. Each home has a garage, basement, a large deck, tall ceilings, high-end finishes, and a very open floor plan. Read more about the advantages of living in these maintenance-free duplexes, or browse the available Shock Hill townhouse listings found below. 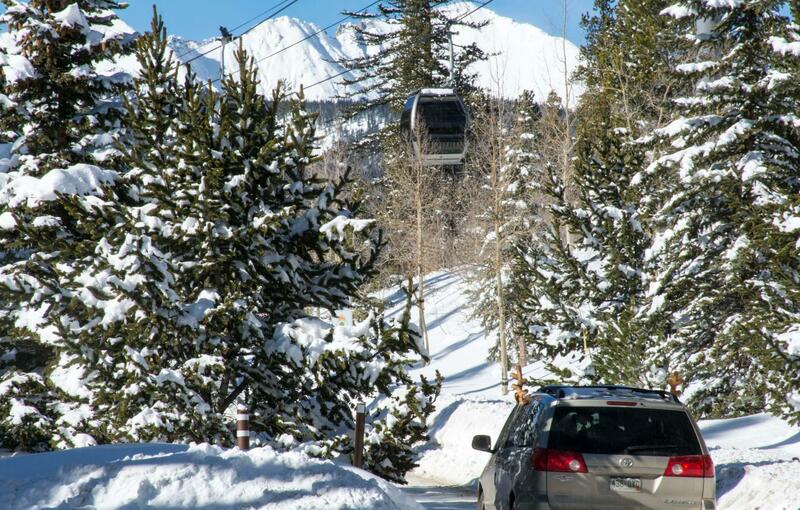 Between the ski resort and town, it's easy to drive to either from Shock Hill Homes. 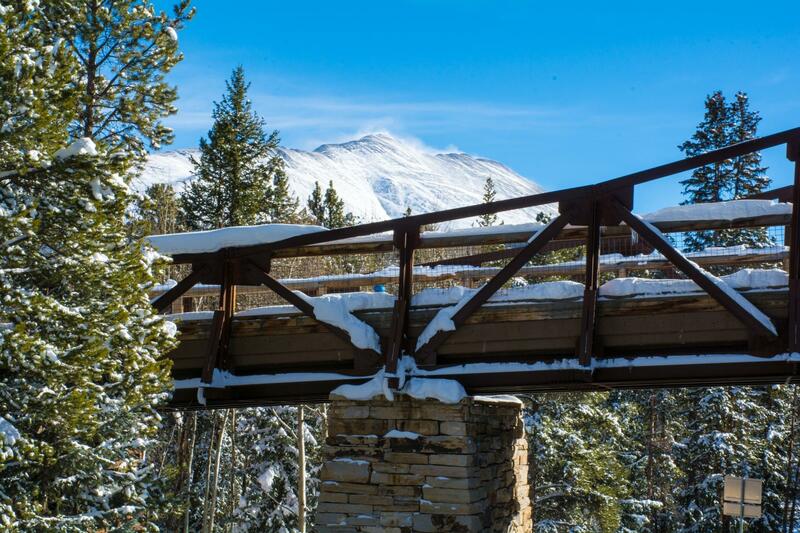 Just opposite the subdivision entrance, the town built a scenic overlook because Shock Hill has one of the best vantage points on the town of Breckenridge. But what lies below isn't far, and it's only minutes to walk down the trails or sidewalks to anything you need in town. Back on top of Shock Hill, where these homes are located, the land levels out for a bit, and Cucumber Creek slows down enough to make wetland habitat for birds, moose and other wildlife. Not far to the west, the terrain angles up again, until it forms the ridgeline of the Tenmile Range. Nordic ski trails border the property; Cucumber Gulch Wildlife Preserve stands only yards away. 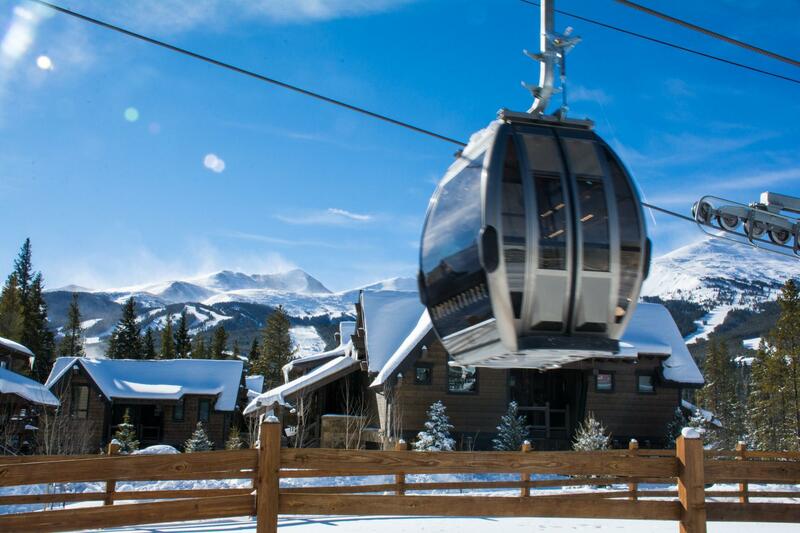 Trails connect Shock Hill Homes to the Breckenridge Ski Resort and downtown Breckenridge, and so does the gondola. Ski, hike, bike or enjoy the wild flora and fauna from any condo for sale in Shock Hill Homes. Size (low/high sq. footage): 2201 sq. ft. to 2435 sq. ft. Amenities: In town, very short walk to gondola and bus, Nordic Ski in/out, crosscounry trails, hiking / pedestrian trails, paved roads, forested, nearby wildlife preserve, views of Baldy and town. Near the Cucumber Gulch Wildlife Reserve, between the Peak 7 and 8 base areas and downtown, near the gondola stop on Shock Hill. Take Ski Hill Road heading west for about one-half mile, turn right into Shock Hill and pass under the subdivision sign and the skiway bridge. Take the second left onto Columbia Drive. Get in touch with us for more information on the duplexes at Shock Hill, or to discuss real estate in other Breckenridge, CO neighborhoods.